Freeport, NY - March 4th, 2015 - The Major Case Bureau reports the arrest of an East Meadow man for Grand Larceny that occurred on Tuesday, March 03, 2015 at 12:30 pm in Freeport. According to Crimes Against Property detectives, the defendant Christopher Kilkenny, 30, of Chambers Avenue while employed at EZ Bath Inc, between the dates February 1, 2014 through January 3, 2015 did fraudulently steal 20 payroll checks from the company ledger and through fraudulent means, prepared, cashed, and deposited these checks into his personal business account. In addition the defendant also diverted online funds into his personal business account. The defendant Christopher Kilkenny caused EZ Bath a loss in excess of forty thousand US dollars. On March 3, 2015 detectives were led to the defendant’s place of residence and placed him into police custody without incident. There were no injuries reported. Christopher Kilkenny is charged with 19 counts of Possession of a Forged Instrument, and Grand Larceny 3rd Degree. He will be arraigned in First District Court in Hempstead on Wednesday. March 4, 2015. 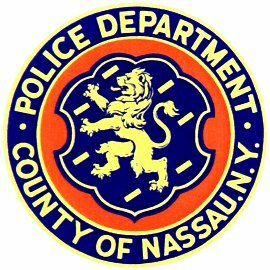 Subject: LongIsland.com - Your Name sent you Article details of "Freeport Man Arrested for Forging Checks, Stealing From Employer"